Excellent lineup of speakers including Dr. Nick Savidov, Charlie Chultz, Dr. James Tidwell, Donald Bailey and Gabrielle Kosmider. 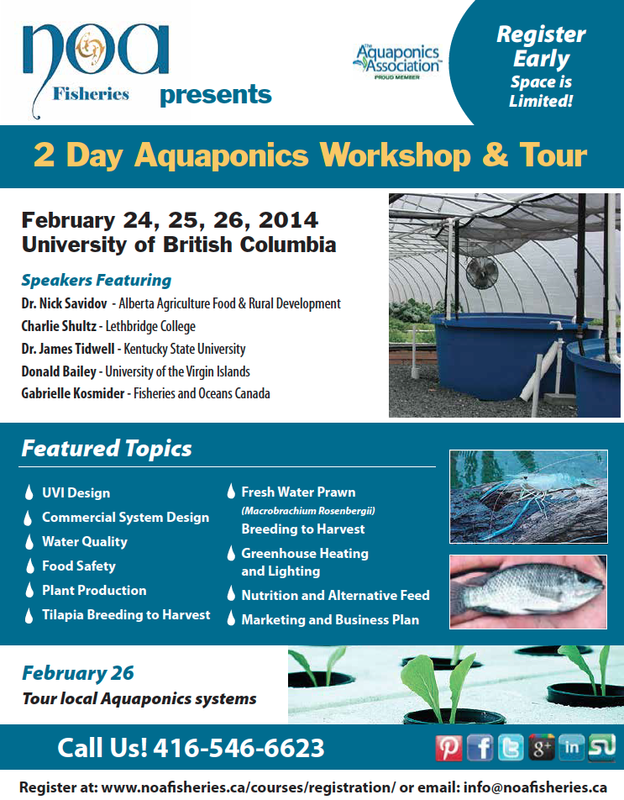 This 2 day commercial aquaponics workshop and tour will be held at UBC on February 24-25 and there will also be a local tour of aquaponic facilities on the 26th. The tour will include two of our (justaquaponics.ca) systems. We will also be speaking at the event and are a sponsor. Contact Noa Fisheries for more information. Thank you for posting! IThis workshop is for everyone, from beginner to expert and you will learn to design and maintain an aquaponics system of any size.